This flu of mine is still hanging around. 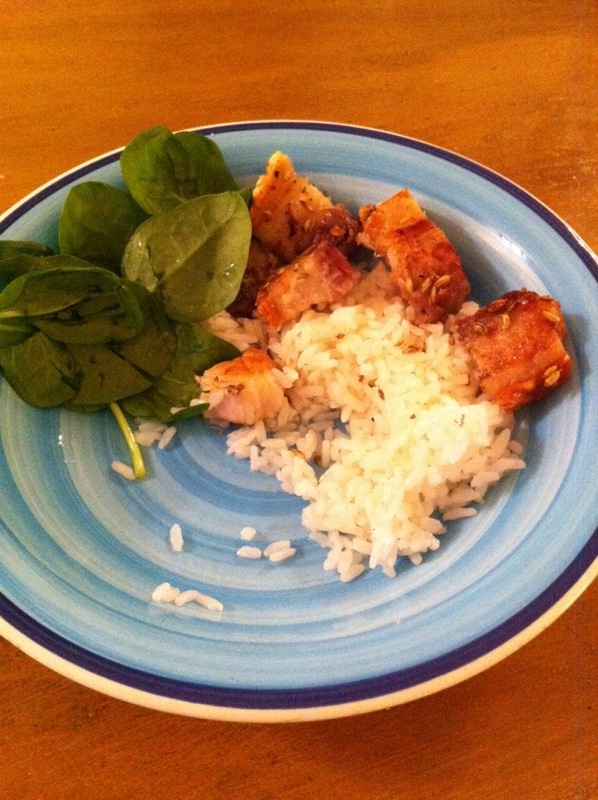 Today I couldn’t really be bothered cooking, but in the end decided to cook the pork belly rashes I had in the fridge. They turned our quite tasty ( just oven roasted with a bit of salt, pepper and fennel. I love fennel) . Had them with some rice and spinach. I forgot to take a photo until I was already half way through!